Two great men in the General Motors saga: Billy Durant, left, and Dallas Dort. In 1886, they became partners and bought Flint Road Cart Co. Durant built the business by buying up suppliers and rivals, setting a pattern that would continue through his automotive days. Durant founded General Motors in 1908. Cadillac was the first automaker to succeed in standardizing parts on a major scale. Early in 1908, eight Cadillacs were shipped to England. After being driven, three of them were torn down. More than 700 parts from each car were mixed with nearly 90 off-the-shelf components, and the cars were reassembled and driven 500 miles at top speed, earning Cadillac the Dewar Trophy for significant advances in manufacturing. If you had to pick a B.C.-A.D. technological moment for the auto industry, Cadillac's introduction of the self-starter in 1912 wouldn't be a bad choice. It's no coincidence that the self-starter was a Cadillac innovation. From the beginning, the brand forged a solid reputation for getting to important automotive engineering milestones first. 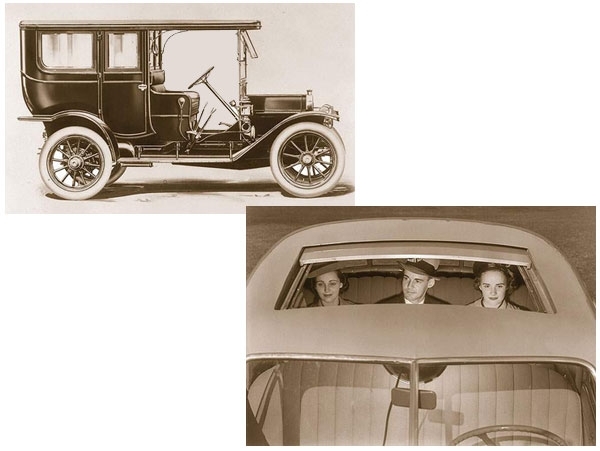 In 1910, Cadillac offered the first standard enclosed body, shown left. And in 1938, Cadillac offered the first U.S. sunroof. 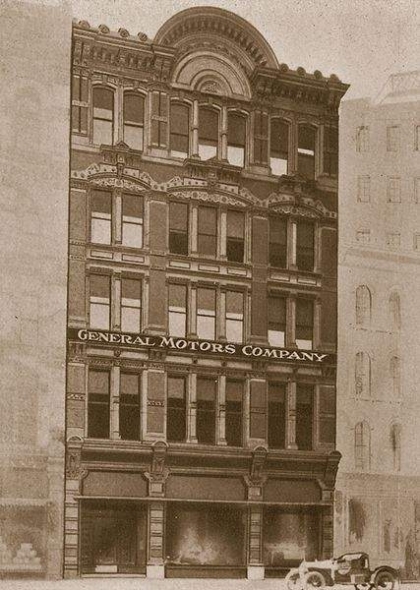 Before 1920, GM offices were in this building at 127 Woodward in Detroit. Pierre DuPont, left, was the patriarch of a family that eventually would own 43 percent of GM stock. DuPont was named chairman of GM in 1915 and president in 1920. It was DuPont who encouraged GM Vice President Alfred Sloan to draft a reorganization proposal, and it was DuPont who forced CEO Billy Durant out of GM on Nov. 19, 1920. 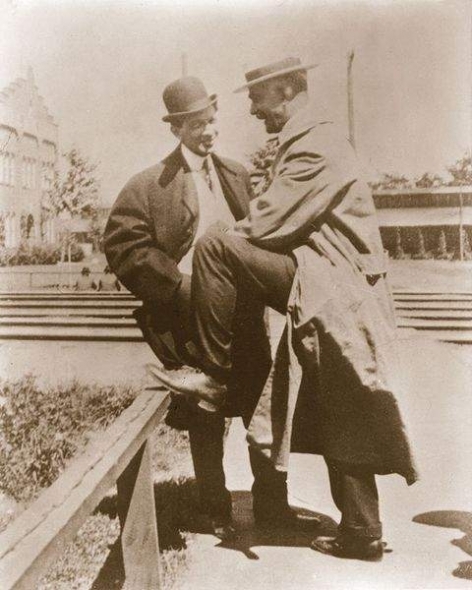 He is shown here with John Raskob, treasurer of DuPont's own company, E.I. du Pont de Nemours & Co. 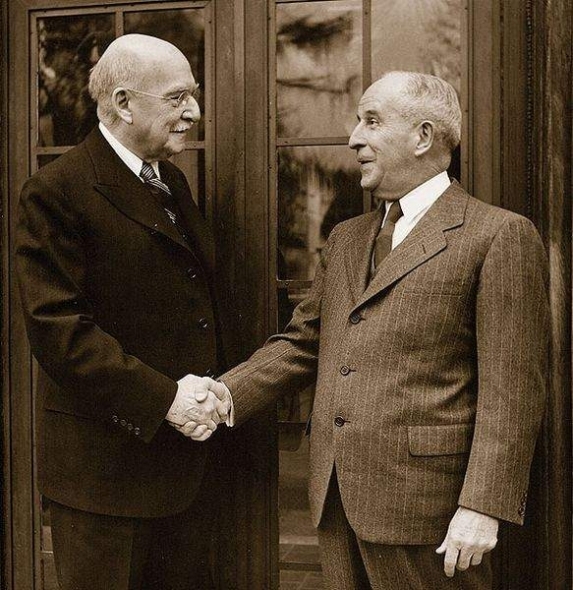 It was Raskob who encouraged DuPont to invest in GM in 1914. Alfred Sloan was GM's president from 1923 to 1946 and chairman from 1937 to 1956. In 1920, he wrote a long report about the best way to organize General Motors. He showed the report, titled "Organization Study," to GM President Pierre DuPont and CEO Billy Durant. DuPont was impressed. Durant was indifferent. Fast forward to 1923: Durant is out, and Sloan's Organization Study is in. 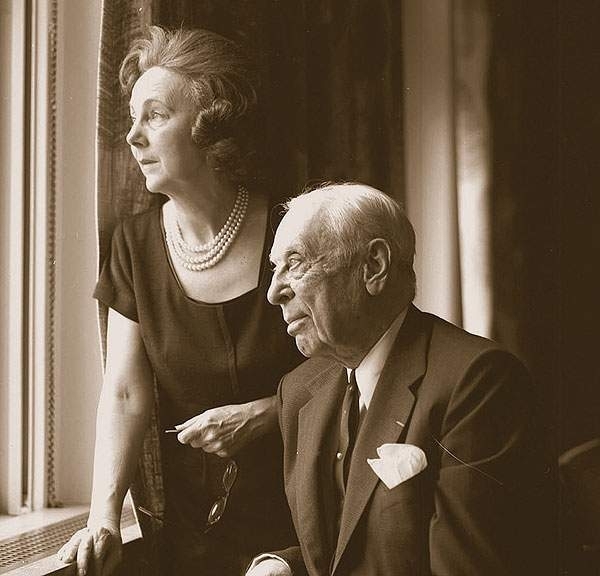 He is shown here in later years with his wife, Irene. His management techniques eventually would become the model for modern corporate America. 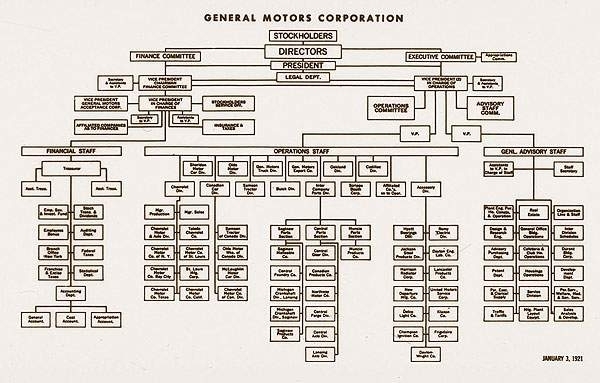 The organizational chart of General Motors created in 1920 by Alfred Sloan. The roots of General Motors' overseas subsidiaries reach back into the pre-automotive age to saddles, sewing machines, bicycles, marine engines and even mythical creatures and knights-errant. GM didn't become a global powerhouse overnight; it accumulated its far-flung empire piecemeal. GM bought Adam Opel AG in 1929. These are the Opel brothers of Germany, from left: Carl, Wilhelm, Heinrich, Friedrich and Ludwig. 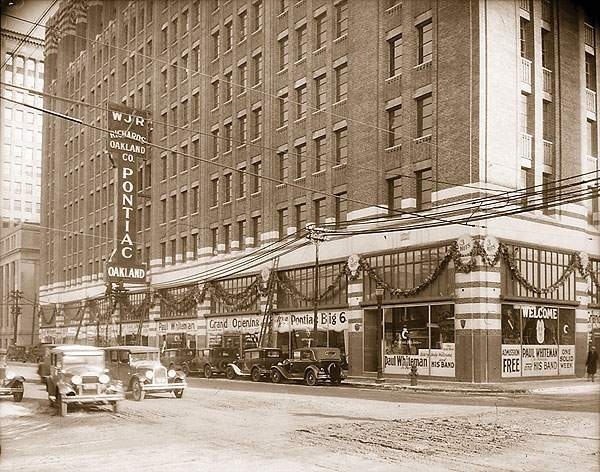 This Oakland-Pontiac dealership opened in GM's Argonaut Building in Detroit in 1929 during the Sloan era. That was a golden age for dealers. Alfred Sloan set up Motors Holding Division to finance dealership purchases and also formed the GM Dealer Council and the GM Dealer Relations Board to adjudicate dealer complaints. Harley Earl put GM at the forefront of styling. 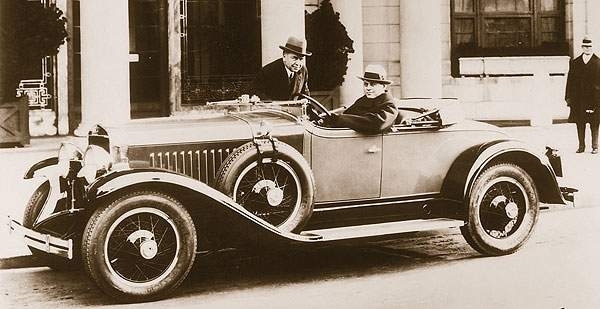 His 1927 LaSalle is considered the first production car to have been designed entirely by a stylist. He's at the wheel, with Cadillac chief Larry Fisher. 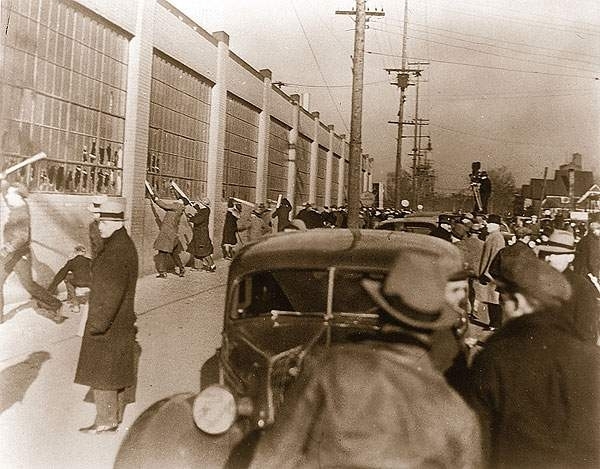 In 1936, workers at General Motors' vast manufacturing complex in Flint, Mich., felt beaten down. Production lines were running at speeds that exhausting speeds, employees complained they weren't allowed bathroom breaks, and supervisors kept workers around without pay, often for hours, when the line broke down. On Dec. 30 of that year, activists for the fledgling UAW saw their chance. About 50 workers at GM's Fisher Body No. 2 plant sat down on the job. A sit-down at the more significant Fisher Body No. 1 quickly followed, and production at the two plants came to a halt. In the weeks to come, the sit-down strike spread to other GM plants, crippling GM production. GM capitulated and recognized the union on Feb. 11, 1937. It was a triumph for the UAW and a watershed event in the 20th century labor movement. Shown here is street action at the Chevrolet Gear and Axle plant in Flint, Mich., in 1936. From Charles Kettering's small laboratory, established in 1909, to the Dayton Research Laboratories, formed in 1916, to GM's first Detroit-based labs, set up in 1925, to facilities constructed in the 1950s at the GM Technical Center in Warren, Mich., r&d has been the company's lifeblood for nearly a century. 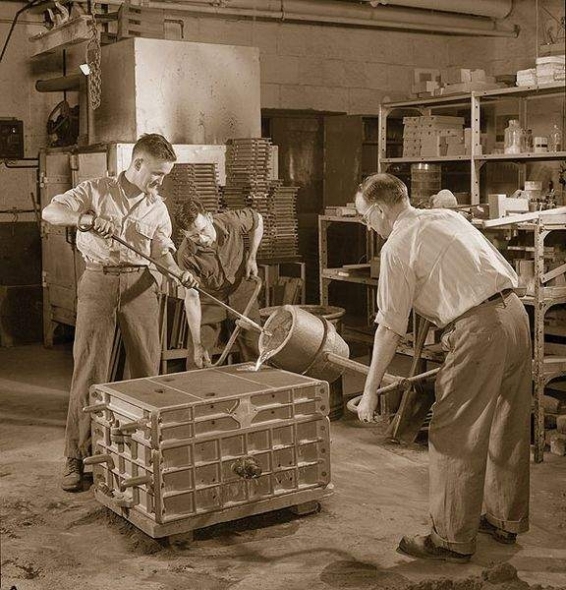 Here, GM Technical Center workers pour molten aluminum into a mold in 1946. Contrary to popular belief, General Motors did not invent the automatic transmission. But GM definitely pioneered it and popularized it. The principle dates back to 1904 and the Sturtevant brothers of Boston. The 1934 Reo had a semiautomatic transmission, but the company was on its last legs and had neither the time nor the money to develop it. GM had both the time and the money, and an automatic transmission was a pet project long before it saw the light of day in the 1940 Oldsmobile. This 1940s ad touts the introduction of the automatic transmission. 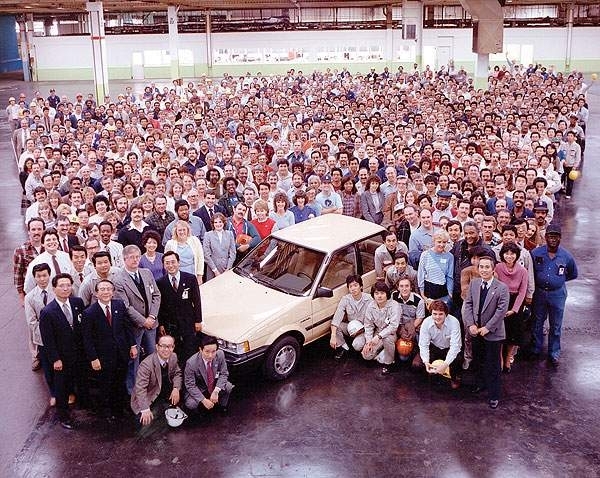 In the early 1980s, General Motors quietly negotiated an unprecedented deal: GM, the world's largest automaker, would build cars jointly with fast-rising challenger Toyota. Both parties had something to gain from the talks, which created New United Motor Manufacturing Inc., known as NUMMI. Toyota wanted to learn to build cars in the United States. 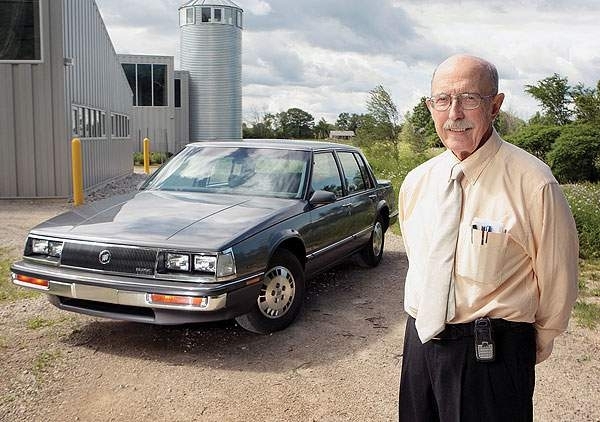 Retired Buick designer Bill Porter was in the trenches during the downsizing era. He liked one of his slimmed-down designs so much that he still has one. It's a 1985 Buick Electra. 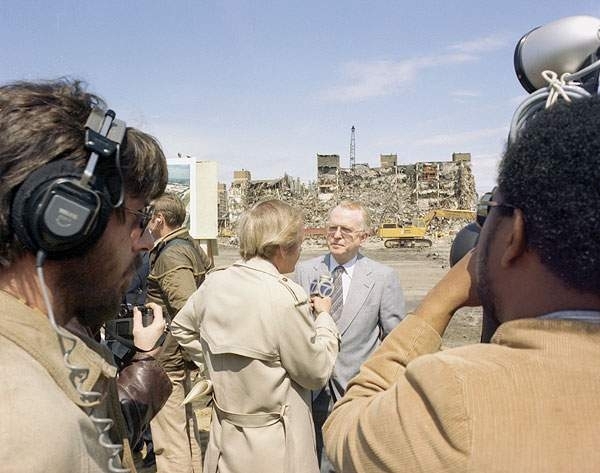 Roger Smith was a pop-culture punching bag in the late 1980s, but he gets some vindication in the survival of the Saturn brand -- one of his pet projects as chairman and CEO of GM from 1981 until his retirement in 1990. 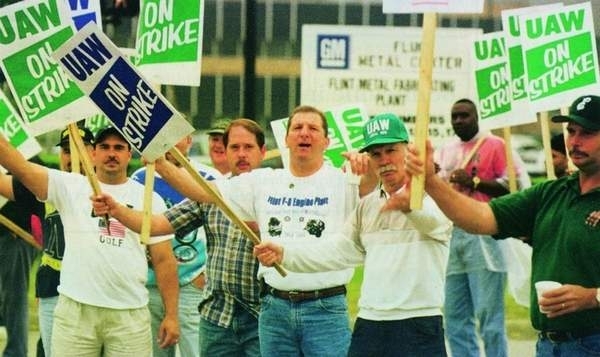 The 1998 UAW strike at GM's Flint stamping operations was a disaster for the company. The 56-day strike shut all of GM's North American assembly plants. It cost the automaker about 500,000 vehicles and $2.8 billion in net losses. But both sides learned a valuable lesson: They resolved not to let miscommunication and intransigence cause another such shutdown again. 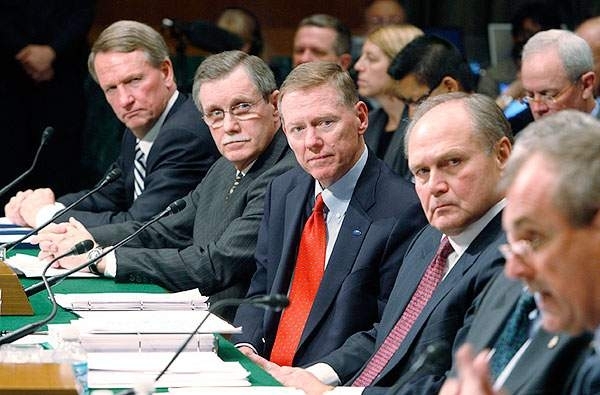 Hopes were high when General Motors spun off its giant parts operation to create an independent Delphi Corp. in 1999. But it didn't take long for the enthusiasm to fade, says Don Runkle, Delphi's former vice chairman. He joined Delphi from GM as part of the spinoff. Runkle names two fatal flaws: 1.) Delphi inherited GM's package of wages and benefits for unionized workers. So Delphi's labor costs were more than $70 an hour, compared with about $20 an hour at rival suppliers; 2.) GM immediately began undercutting Delphi contracts by sourcing the work to other suppliers. 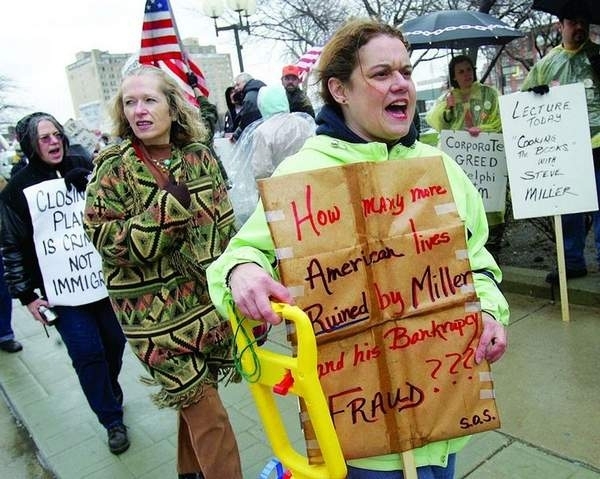 Here, Delphi hourly workers protest job losses in 2006. 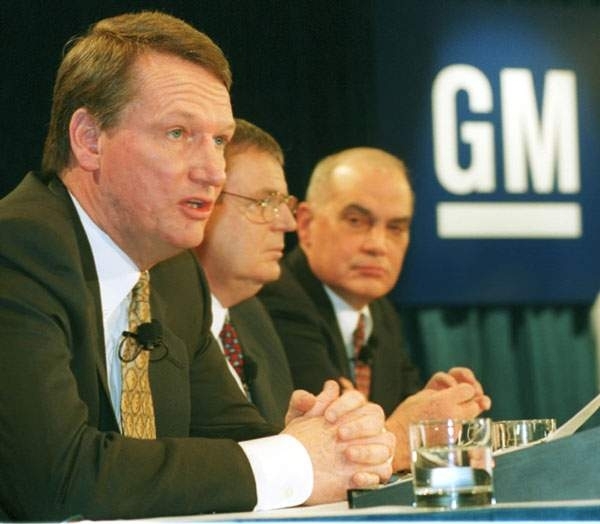 In 2000, General Motors President and COO Rick Wagoner was named to head the automaker into the new millenium. He had his work cut out for him, as the automaker badly needed upgrading in its product lineup. He is shown here, left, answering questions after the announcement that he will become the new CEO. He was joined by Jack Smith and Harry Pearce, who were chairman and vice chairman at the time. New CEO Rick Wagoner recognized that GM had lost its product mojo, particularly in its car lineup. Pickups and large SUVs were comparative bright spots in 2001, but with the possible exception of the Corvette, GM's car lineup lacked appeal. Worse, GM somehow had decided to offer an ungainly, boxy cross between a minivan and an SUV called the Pontiac Aztek, which misfired badly. The Aztek experience convinced Wagoner that product development was not his primary skill and that GM had to find someone to put that house in order. 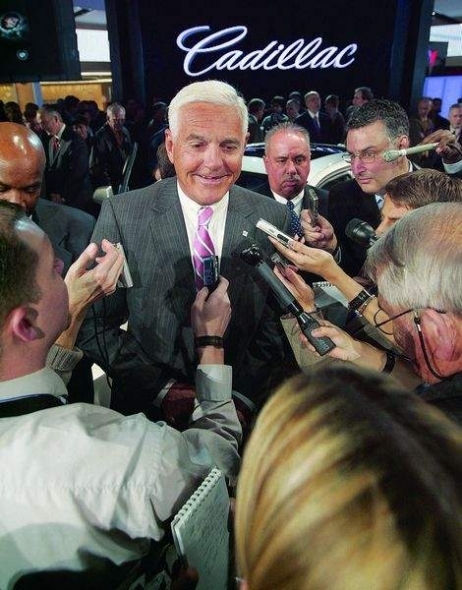 In 2001 he brought in Bob Lutz, who had retired from Chrysler as vice chairman in 1999. Several well-received recent cars -- including the Chevrolet Malibu, the Pontiac Solstice and Cadillac CTS -- have Lutz's fingerprints all over them. 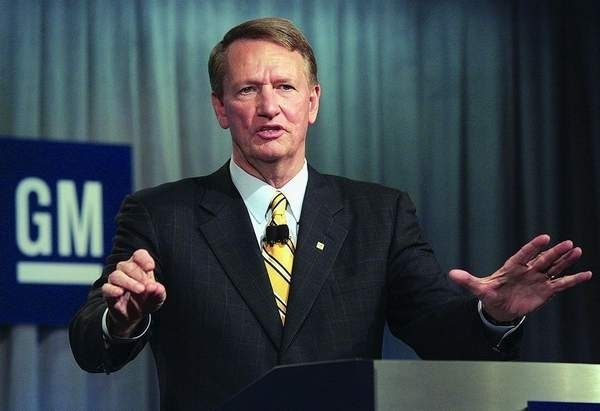 In April 2006, GM CEO Rick Wagoner went before the board of directors in search of two things: Permission to raise cash by selling 51 percent of GM's finance arm, GMAC Financial Services, for $14 billion; and a vote of confidence in his leadership. He got both -- and the chance to move forward on his turnaround plan that included closing 12 plants, cutting 30,000 jobs, cutting health care costs, cutting incentives, cutting sales to daily rental fleets and negotiating a 2-tier wage system with the UAW. Many of these goals were reached before the economy went sour in late 2008. GM's plan to sell its Opel unit took a major step Saturday, May 30. Germany reached a deal in talks with Canada's Magna International Inc., GM and other governments to save Opel, German government leaders said on Saturday after a marathon six-hour meeting. 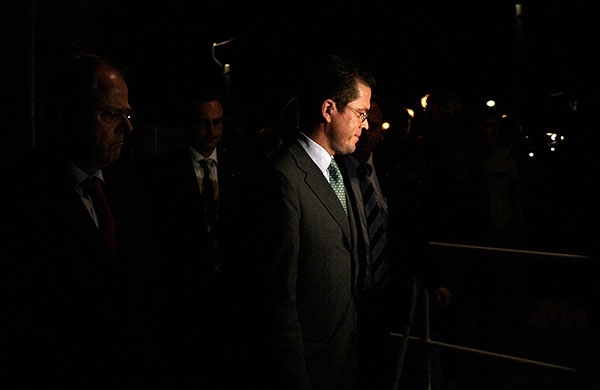 Here, German economy Minister Karl-Theodor zu Guttenberg arrived for an early morning news conference after talks in Berlin. 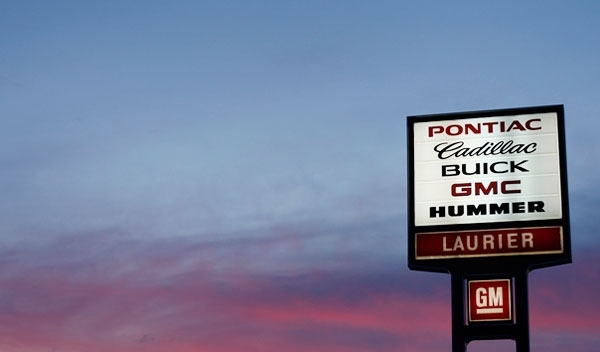 GM plans to close its Pontiac brand and hopes to sell the Hummer, Saturn and Saab brands. Shown here is the Laurier General Motors dealership in Quebec City, Quebec. 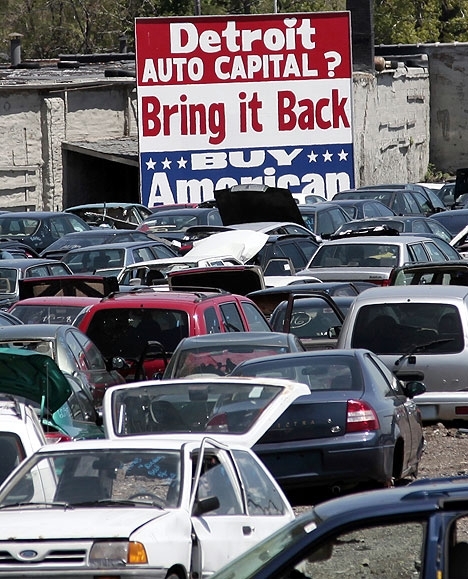 A large 'Buy American' sign, in support of Detroit's auto industry, is seen in the back of an auto scrap yard in Detroit. Chrysler's bankruptcy proceedings show the possibility of an orderly restructuring of a major U.S. automaker and could be a model for GM, the White House said Friday, May 29.